One of the best pieces of advice I’ve heard if you’re considering taking up a new hobby is to Google, “Things I wish I’d known before trying [hobby]”. This is a quick way to scope out potential downsides you may not have previously considered. 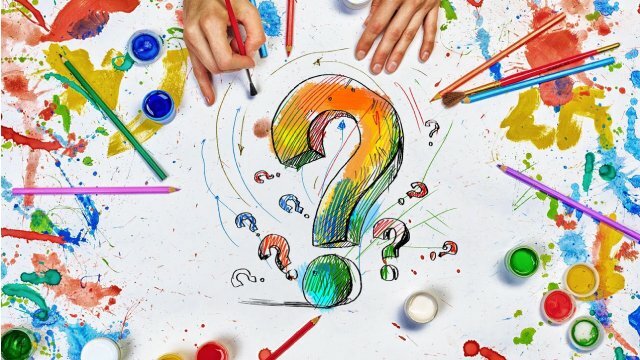 Likewise before undertaking a new project, whether creative or corporate, it’s wise to consider what questions you need to ask yourself to be prepared for the oncoming production. Today we’re looking at six questions to ask yourself when considering getting an explainer video made for your brand, and why you need to be asking them. 1) 1) What does my ideal consumer actually look like? If you’re in any sort of business, you’ve already thought about this. You know how old your customer is, their gender, their interests, and where they spend their time. But more specifically, do you know what they physically look like, or what they think they look like? When you start representing your brand with a visual medium like video, it’s important to look seriously at the characters you’re using to tell your brand’s story. Are the characters in your video actually representative of your ideal audience, or are they flat, generic ‘everyman’ clones? Animation affords a greater range of characters, even branching into the non-human. That’s not to say that your ideal audience are robots, dogs, or aliens who for some reason need car insurance, but if your brand’s story is best told by a neutral third party then this is a great option to have up your sleeve. 2) What problem do they need solving? Ideally, your brand should already be based around a problem you’re solving. When you’re developing an explainer video, the problem is the first thing to identify to your audience. Sometimes the problem is simply a lack of information, in which case saying, “Here’s what you need to know to be informed about Topic McTopicface” can be a perfectly effective start. Other times, if the problem is a social issue or difficult to explain in layman’s terms, it can be best communicated metaphorically through a character’s narrative. 3) Why are you the one to solve that problem? I’m of the school of thought that asking ‘why’ is often more revealing than asking ‘what’ or ‘how’. This is never more true than when you’re pitching something in a saturated market. Your ‘why’ is the crux of your explainer video. So you sell home security systems with new cloud-integrated surveillance cameras. Cool. But why you? And why does the cloud matter? And why do I need home security at all? Your system might be close to foolproof, it might be completely revolutionary, and it’s almost certainly a product whose workings you’re proud to show off. But explaining to the consumer how the system works is only useful once they’re already on board with why it will benefit them. Peace of mind. Strength of values. No hassle. Be clear with a log line: this is your elevator pitch. Why will consumers remember your brand after this video? 4) How many questions is my video trying to answer? In an explainer video format you always need to put your best foot forward, fast. You’ve got somewhere between a couple of minutes and 30 seconds to get your idea across. Start with identifying your audience’s common problem—one problem. Provide your greatest asset—the why choose us, as the answer—one viable answer. Funnel down how the why works only if time allows. Leave the audience with one clear, unforgettable reason to take action with your brand. Focussing your video around one problem or theme has proven recall benefits. We all know it’s far easier to remember one repeated thing than a list of things: in fact, our short term memory on average can only hold 7 things for 20 seconds. If you want someone to remember a fact for the long term, it needs to be repeated and it needs to be focussed. And if you have more to say for your brand, more customer problems to solve and more info to provide, don’t be afraid to make more content. As well as providing more sharable content for your brand’s online presence, video series help cement your brand’s identity as being active and consistent. 5) How do I measure success of my explainer video? There’s two questions you need to answer to know how to properly measure the success of your explainer video: 1) What’s my end goal? and 2) What tools will I use to gauge this? 1) There are many reasons you might choose to develop an explainer video: You’re a large corporation looking to change the public image of your brand. You’re an online business who wants a better click-through rate from their front page. You’re a startup looking to help customers understand what your business actually does. You’re an NFP organisation trying to spread awareness and understanding for a social cause. Most of these situations boil down to one of three measures of success: awareness, conversions, or perception. It’s important to nail down which one is the most important to your campaign so you can confidently measure whether your explainer is giving you the outcomes you need. 2) Once you’ve determined your measure of success you need to look at how you’ll be gauging the numbers when your video comes out. A simple video view counter might help give an idea of exposure, but won’t reveal the public’s perception of your brand. Monitoring forums and comments boards may indicate perception but not sales conversions. Conversely, a heatmap tool on your website might show if video views are causing customers to then continue onto your sales page, but won’t reveal what ideas are causing them to do so. 6) Is an explainer video the best way to get my message across? This one’s difficult for me to write given my obvious bias, but it’s an important point to consider before dropping your advertising budget getting a video made. There are plenty of situations where an explainer is an ideal solution to your business-related issues like improving SEO, increasing customer visit time on your website, and creating a down-to-earth voice out of a complex startup idea. But sometimes you’re simply going to want something different. Maybe your audience niche doesn’t respond to visual media like they do to text, maybe your product is best served by a more esoteric ad campaign, or perhaps you’re after a market who rarely go online at all. Whatever your situation, weigh up your costs, risks, and estimated returns to discover which format is likely to be the best for your next campaign.